Here’s a drink that’ll charm children as well as adults! 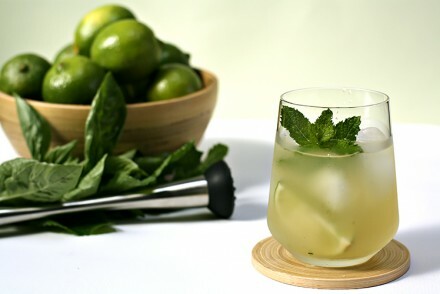 This refreshing, not-too-sweet, effervescent concoction has all the elements of a delicious limeade, but it’s sweetened with maple syrup (instead of sugar) and infused with lime zest and fresh mint. 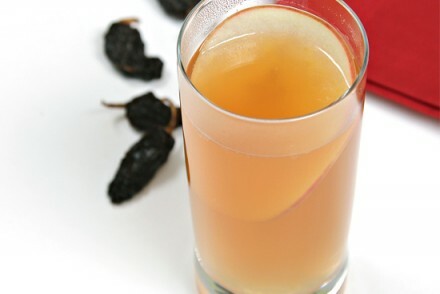 The result is an intensely flavorful, lively drink that’s perfect for brunch—or for any time you might need to quench your thirst. 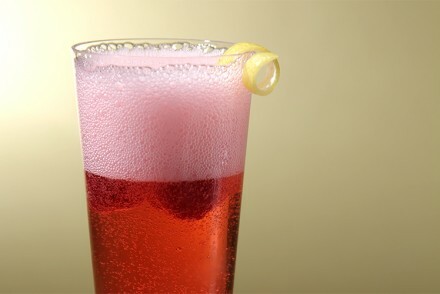 A fizzy drink with quite a bit of punch! Step 1: Using a vegetable hand-peeler, peel the zest of each lime into 5 strips. Set aside. Juice the limes. You should have about 1 cup of juice. Step 2: Place the spring water, maple syrup, lime zest and mint in a medium saucepan and bring to a boil. Reduce heat to medium/medium-high and fast-simmer for 2 minutes. Turn off the heat and let stand for 15 minutes to infuse. Strain through a fine sieve and let cool to room temperature. Step 3: Once cooled, add the lime juice, salt and sparkling water and stir a couple of times. 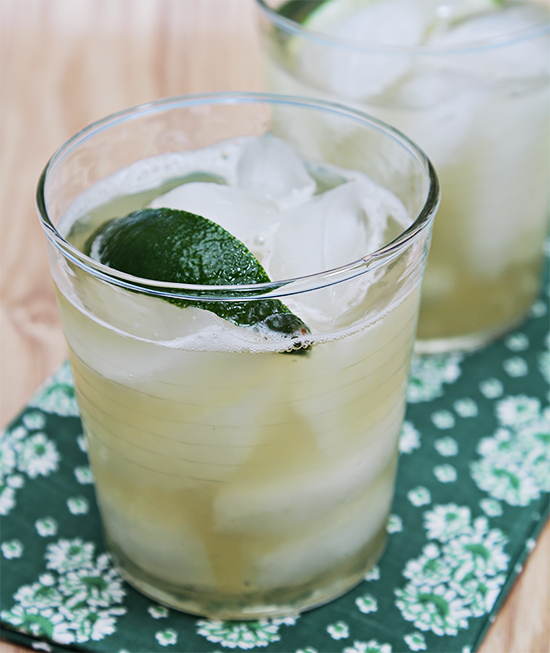 Pour into glass bottles with strong bottle caps to keep the limeade fresh and sparkling. 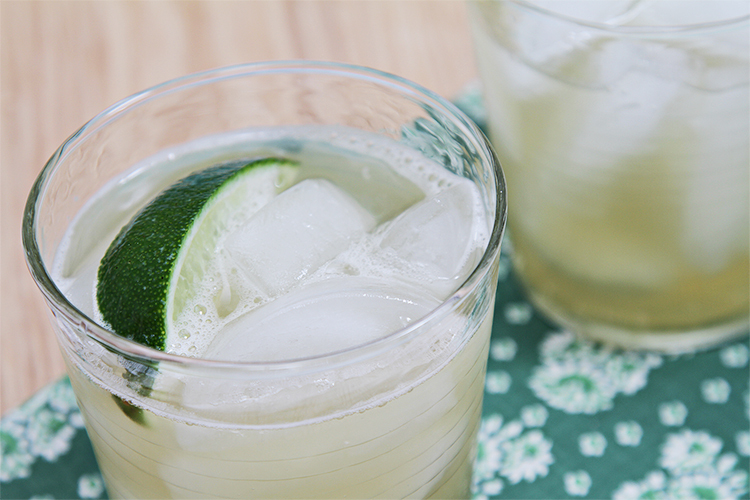 Serve with ices cubes and garnish with a lime slice. 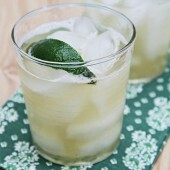 Cook’s note: The limeade is best consumed the day it’s made, but it will stay fresh for up to 2 days. What a refreshing summer drink! 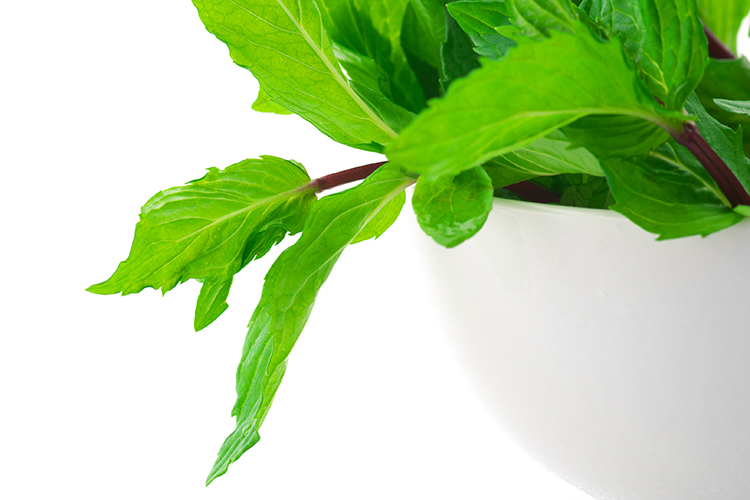 Mint and lime paired with maple syrup are an enchanting combination of flavors!